This beautiful nursery decal will look fantastic on any little girl's bedroom wall. It comes in any color of your choice. Please see our color chart in the 3rd photo. 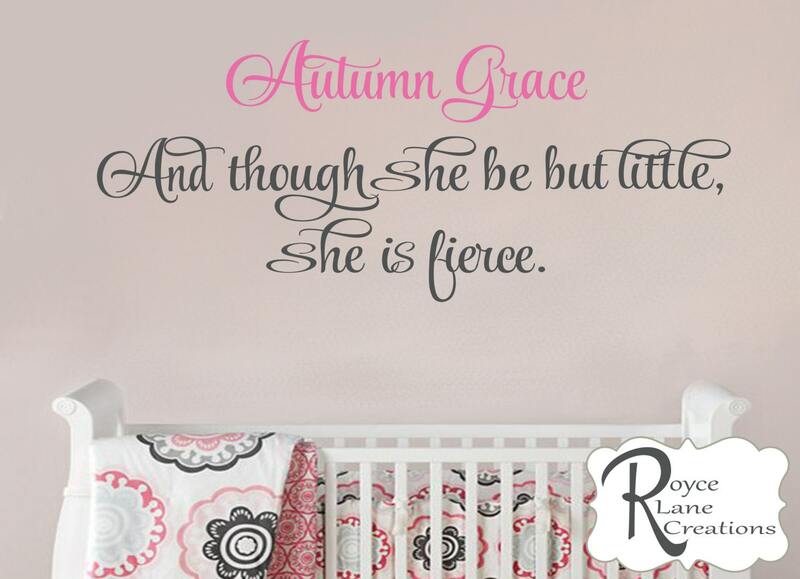 The quote measures 42" wide by 10" tall. The name measures 22" wide by 5" tall. The decal is available either with or without the name. Scroll through all the photos to see the decal and also our color chart.